That's how I feel about these sunglasses. On our way home from Florida we stopped in Ohio. Just before we turned in for the night we spotted a TJ Maxx but unfortunately is was just about to close. Oh! What deals lay beyond those automatic doors that have yet to be perused by us?! But we didn't let it break us down. The next morning we made sure we were at the doors the moment they reopened so we could pop in before getting back on the road. I'm so glad we did because I found these sunglasses! 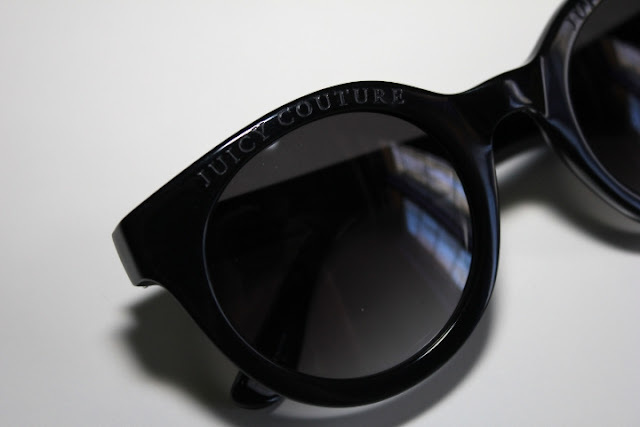 I am by no means a label person and Juicy Couture definitely isn't a label I pay attention to but I just love the shape of the frames. It's a style that suits me best, I think. 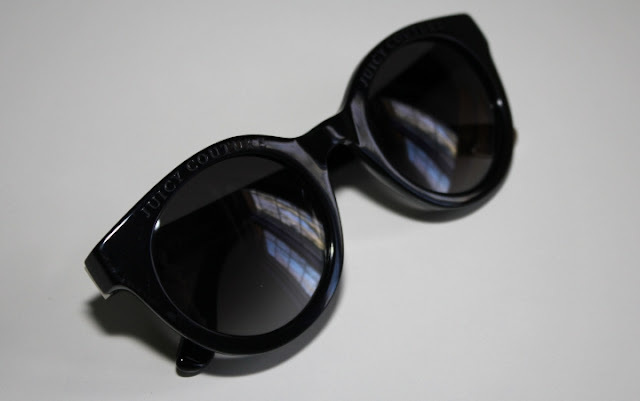 It's my first pair of sunglasses to actually be of quality. 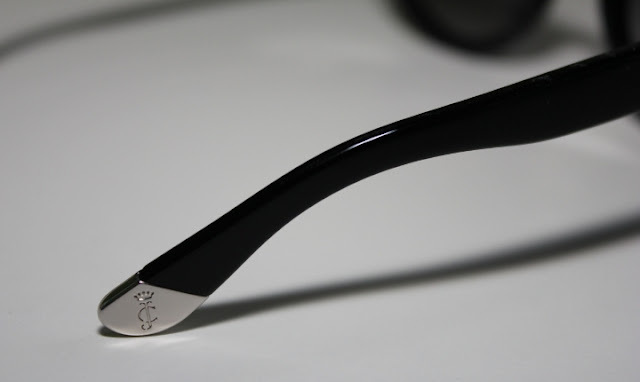 I think this is a cute little detail but boy oh boy can it get hot if you have your glasses in direct sun, ouch! Okay the font seems obvious here but my mom never noticed it... however near-nearsightedness isn't her strong suit, haha. 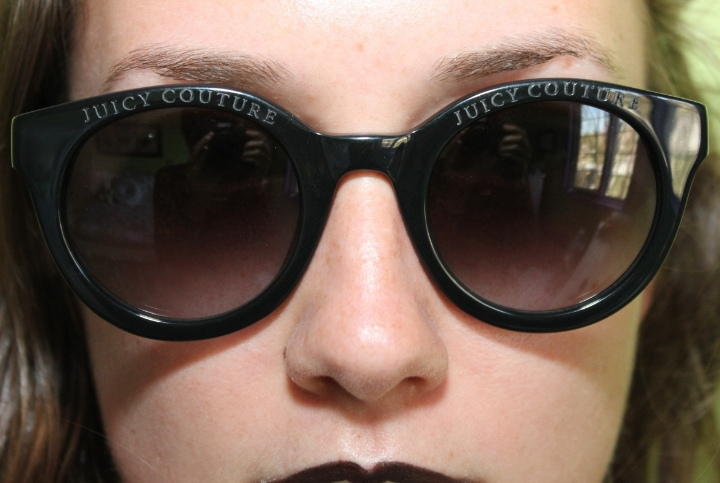 I paired with Lime Crime's Styletto and definitely felt like Lady Gaga in the Paparazzi video.